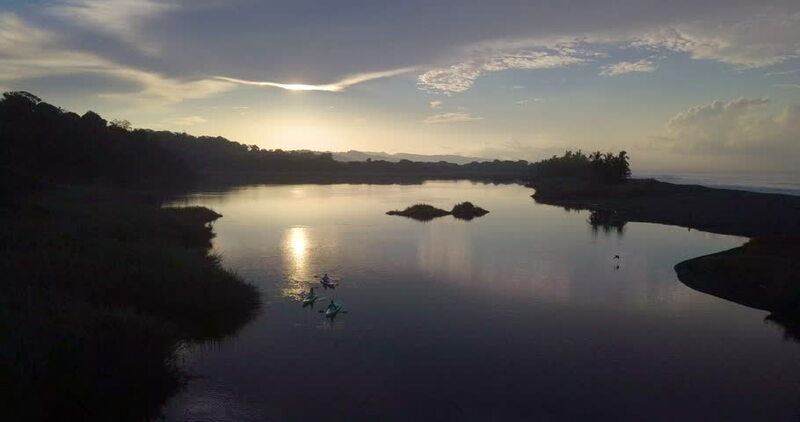 A cinematic shot of kayakers kayaking in the river lagoon near Carate Beach in Puntarenas Province, Costa Rica in Corcavado National Park, Osa Peninsula at sunrise. 4k00:20Bali. A boat reflection during sunrise with burning sunrise on the sky. Sunrise at the lake in Indonesia.